This summer desperately needed good music. You could have put an anime to just about any song (as the above video has so eloquently showed us), and I would have considered it rankable before I considered it rank. Mind you, that doesn't mean it's time to see a K-On! "Gangnam Style" parody at the next convention's anime music video contest, but at least there was something good to watch for a few minutes before I turned the streaming service off. So I present to you this season's Top 25 opening themes. It took a while to weed through so much. Perhaps I should have kept things short, since it was pretty hard to settle on one, but I think I've made the right call. And not one horse trot in any of 'em. 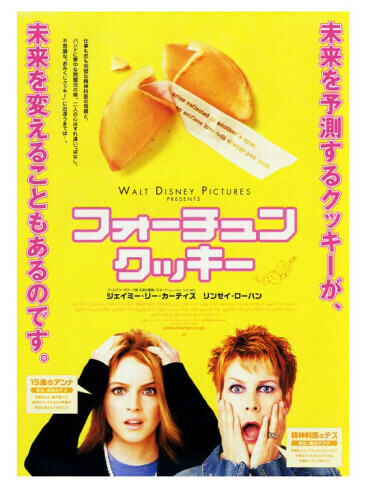 Yes, "Freaky Friday" was called "Fortune Cookie" in Japan. We've seen this formula before, back when Lindsey Lohan wasn't a druggie and both Judge Nelson and Fred Savage were still inexplicably popular. The whole "body switch" thing. I mean, it's not so foreign a concept, and manga such as Your & My Secret already beat other shows to the punch. Hell, even off-the-wall comedies such as Excel Saga and Binbôgami Ga! gave it a shot. But if the human body can be treated like a vehicle, why stop at just changing drivers? Why not see what happens if someone resets all the radio stations or puts diesel in an unleaded-only tank? Hello to all of you people reading this blog. I hope you don't mind, but I've decided to involve myself. 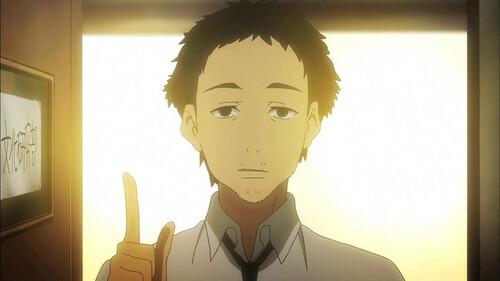 You all know me as "Heartseed", the real star of Kokoro Connect. I noticed recently that the person who writes this electronic mumbo-jumbo doesn't have all that much to provide for fandom. His biases against harem shows are crimes against humanity at times, and he's grumpier than Clint Eastwood at an Ikea. He thought that Nobuna Oda show was worse than that show with the chrome-plated chests, and this was after he teased us with a review of Kids on the Slope that never actually manifested itself. So I have decided to intrude and make things more interesting. From now on, this blog will switch with another blog randomly. No matter who the reviewer is, they must review the show without skipping a beat. Call me a sucker for commercialism, but a well-crafted logo sometimes is enough to draw me into purchasing a mindless product. You could throw all the testimonials and infomercials at my proverbial wall and hope that something sticks, but more often than not, the five-year-old in me will opt for the colorful mascots and neon signs. I'm the type who can't really enjoy the wooden nature of Wheel of Fortune or Who Wants To Be A Millionaire?, but Press Your Luck is a different animal altogether. I found myself applying this to Summer 2012's selection of anime. Amongst those that qualify as "mindless drivel", I found myself disliking three shows to the point of not bothering to care how they end (Campione!, Love and Election and Chocolate, Ebiten). All are chock-full of mindless plot lines and unnecessary sexual escapades, but I found myself ranking them in a manner that correlated to how bad their logo was. 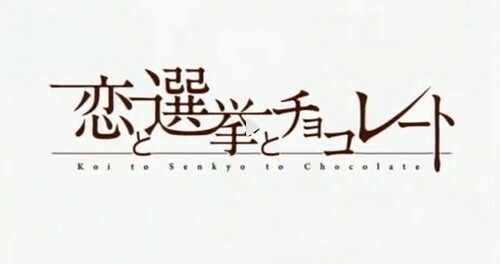 Love and Election and Chocolate (Koi to Senkyo to Chokoreeto) wasn't as bad as the first episode suggested, but it was still bad. Like its logo, a melted and messy confection, the show was good in construction, but bad in organization. Perhaps it was too complex for such a simple design? 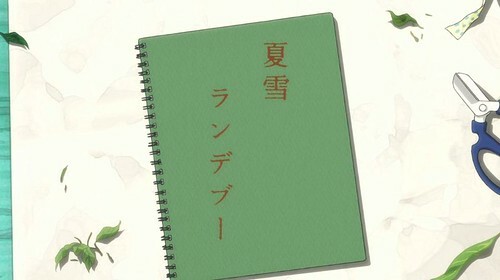 Campione!, like its own logo, was incredibly difficult to view. If there is symbolism surrounding its "Pick-Up-Stix" design, I certainly can't see it. I mean, considering the show started in Italy, I haven't the foggiest idea why the exclamation point is stuck with a rose bloom. It's like the staff assumed France and Italy were the same country. 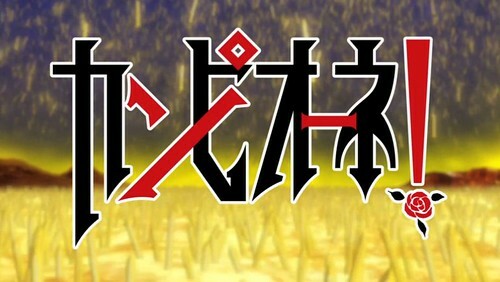 This brings us to Ebiten, a show so horribly disfigured by multiple personalities that it can't decide on an anime logo. I'd show you what they look like, but I don't want to be reminded that there's a train wreck like Ebiten out there. I'd be doing a disservice if I even showed the logos to people. (Out of mind, out of sight.) 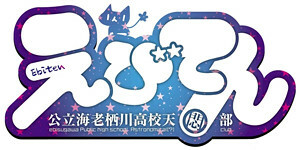 The manga's logo is relatively better, but a logo written solely in Sans Serif would look better. So that got us thinking—which anime shows from this season have the best logos?